Belfast boxer Michael Conlan has safely progressed to the bantamweight quarter-finals at the European Amateur Championships in Bulgaria. The Olympic flyweight bronze medallist beat France's Anthony Bret on a unanimous decision to set up a meeting with Denmark's Frederik Jensen. That fight will take place in Samokov on Wednesday. Conlan is aiming to win his first European gold medal after losing in the flyweight final two years ago. The Belfast man was edged out by Welshman Andrew Selby in the 2013 European decider. 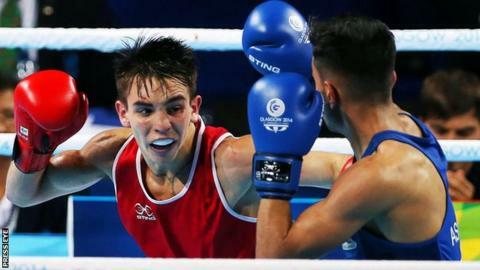 Conlan won flyweight bronze at the London Olympics in 2012 and he has already booked a bantamweight berth at next year's Rio Games.